Wine programs can last for as little as a week for our Accelerated Summer School up to two years to complete the Advanced Wine Course. All courses are held at our main classroom in the Rittenhouse Square neighborhood. Professional certification is authorized by the National Wine School, one of the major professional wine certification agencies in the United States. The NWS issues sommelier certification and pins up to the master somm level. Super-charge your palate and learn how to taste like a master sommelier. The patent-pending approach to wine tasting is nothing less than exhilarating. You will save hundreds of dollars if you register for the Core Program, which includes the Foundation and the Intermediate wine courses in a single semester. The entire world of wine in a single semester. All major wine regions and grape varietals are covered in this exhaustive overview of modern winemaking. Professional certification comes with the most up-to-date reading material available in the wine trade. Only students and graduates of the program have access. Earn your Advanced Somm pin in one year. Rigorous and engaging, each semester comes with its own world-class certification at no additional charge. Advanced program students are eligible for one-on-one counseling from the executive director of the school. This often results in great new opportunities. Only the top tier of Advanced Sommeliers in America are invited into the Master Wine Program. A six-month program guided by your professional mentor. There are five names for the same certification: Master of Wine, Master Sommelier, Master Somm, Diploma Enotropae, and Level IV Sommelier. The Wine School is a great place to build knowledge and pursue your passion. I highly recommend the Wine School. It is the place I earned my credentials. It is due to the Wine School of Philadelphia that I attended UC Davis. We would never be where we are today without your class. Programs at the Wine School fall into line with national standards for the highest level of wine education. We offer five levels of wine courses, which correspond directly to the programs offered by all major wine certification bodies in the United States. Our programs also have the option for national sommelier certification via the National Wine School in California. Due to our premier status, we can offer certification coupled with our independently-developed curriculum. Our programs have been the basis for programs at many schools, including the University of Pennsylvania and Drexel. The first and second levels are covered in our critically acclaimed Wine Foundation Program. The second level is the Intermediate Wine Program. These are the essential wine courses for a well-rounded education. These two programs can be taken in tandem (this is known as “taking the Core”) or in two separate semesters. If taken in tandem with professional wine certification supplied by the National Wine School in California, the student can earn their certified sommelier pin. Along with the Intermediate Program, the Foundation is part of the Core series of wine courses. By enrolling in the Core program (both the Foundation and Intermediate programs in a single semester) the student can attend Wine School at a discounted rate. The world of wine is built on the foundation of taste. The top professionals in the food, wine, and hospitality industries understand this: the committed student of wine must learn this. To stand tall in the wine world, the student must learn to unravel the hidden flavors of wine and speak the language of the senses. Most wine enthusiasts remain tourists of the grape: they drink and enjoy without ever knowing the greater joys hidden just below the surface. The Foundation Course is your key to unlocking that world. With it, you just may be able to turn a mere hobby into a deeply passionate and highly creative calling. “The Foundation program is truly a unique and enjoyable learning experience… it is the only chemistry class you will fall in love with.” Bob Pigeon, Executive Editor of De Capo Press. In an eight week semester, students will learn the techniques and knowledge to become extraordinary wine tasters. Graduates are able to identify major wine varietals in a blind tasting: a skill many seasoned sommeliers cannot accomplish. In this eight-week program, you will be taught to taste wine with a higher proficiency than most sommeliers. The final exam of this program is a series of blind tastings along with a multiple choice exam. It is expected that our graduates will be able to identify the varietal, style, and region of every wine presented in the blind tasting. We currently have a 93% pass rate, which is the highest in the country. At-home study prior to both the written exam and blind tasting is highly recommended. There are no prior requirements to attend this program. The program is designed to be accessible to anyone, regardless of experience or knowledge level. Along with the Foundation Program, the Intermediate is part of the Core series of wine courses. By enrolling in the Core program (both the Foundation and Intermediate programs in a single semester) the student can attend Wine School at a discounted rate. From the Italian peninsula to the docks of Bordeaux, the Intermediate Certificate of Global Wine Studies is a breathtaking exploration of the world of wine. The third level is the Advanced Wine Program. There are two required semesters and two electives in this program. The full program takes approximately two years to complete. If taken in tandem with professional wine certification supplied by the National Wine School in California, the student can earn their Diploma and advanced sommelier pin. The capstone of our program is the Diploma Oenotropae, a high achievement reserved for those students who have exhibited a mastery of the subject. Students who have earned their Diploma have gone on to become winemakers, wine writers, sommeliers, importers, and educators, among other careers. Along with the Diploma, students earn their master-level sommelier pin from the National Wine School, the highest available in the wine trade. The crowning achievement in wine education. The wine diploma program requires the student to have successfully have completed the requirements for both the Core and Advanced programs. The final element is completing a Thesis Project under the tutelage of a Master Sommelier-Instructor. 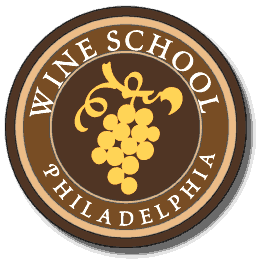 The Wine School of Philadelphia is the oldest independent wine school in America. The school was founded in 2001 by Keith Wallace, a graduate of the country’s most prestigious viticulture and enology program. Mr. Wallace developed the entirety of the School’s curriculum. It was based on his work as a consulting winemaker and training wine executives. His aim: To create an academic experience that instills in students a knowledge of wine that goes beyond memorization and recitation. The programs at the incorporate the most up-to-date and effective teaching methodology available. In fact, the Wine School’s programs have now been used by several universities, including Drexel and the University of Pennsylvania. Wine classes are held at our facilities in Philadelphia. Professional certification it is not required to attend a course at the Wine School. Like all wine schools in the USA, we do not directly confer professional or sommelier certifications. For those looking for certification, the National Wine School in California is our preferred national accreditor. As a professional certifying body, we believe NWS offers the most professional and reliable certification in the wine trade. For details, we suggest checking out SOMM. Students who achieve a Level III and above qualify for sommelier pins. To earn the core sommelier certificate, the student must pass both of these wine exams. This will take between one and two semesters to complete. Complete four semesters in the Advanced Program to earn your diploma and pin. Not only does each semester take you one step closer to the coveted Advanced Sommelier pin, you also earn an essential independent professional certification in each and every semester. The National Wine School offers several dozen amazing professional wine certifications. They include the Winemaker Certification, the Italian Wine Specialist, Luxury Wine Scholar, and many more. Earn four of these professional wine certifications and you qualify for your Advanced Sommelier Diploma. To earn the master-level sommelier pin, the student must complete the thesis project and the Diplome Oenotropae Exam. This often takes one full year to complete. For a tutorial on the levels of certification in the wine trade, we suggest this article on Quora: What is the difference between the different sommelier organizations?